I first thought that the logo on the beer glass is the Oranjeboom logo, but that is not the case. It could be that it is a fake logo, but I don’t think so. If anybody knows what beer brand used (or till uses) this logo, please let me know. 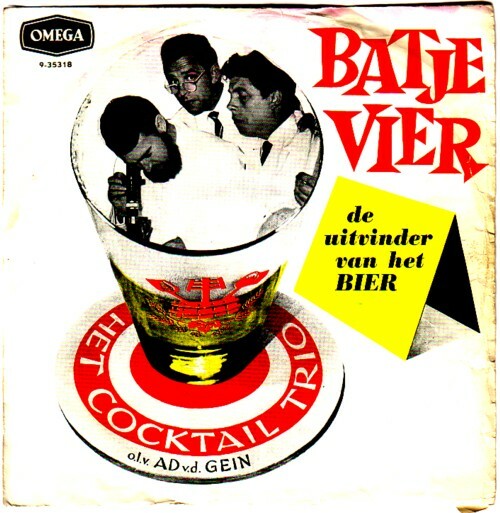 It is interesting that the same logo is used on a 45 by Het Cocktail Trio. 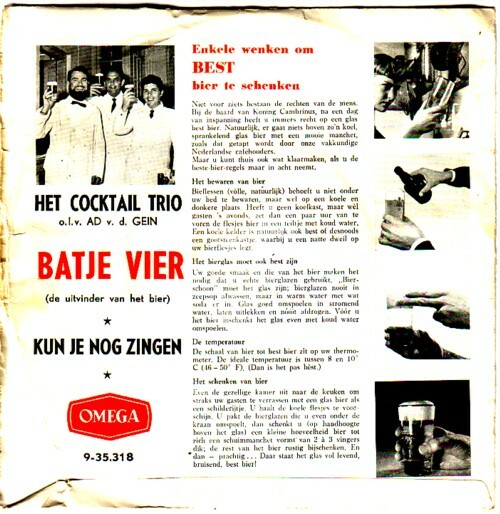 This is clearly another ”sluikreclameplaat” . But for what company? 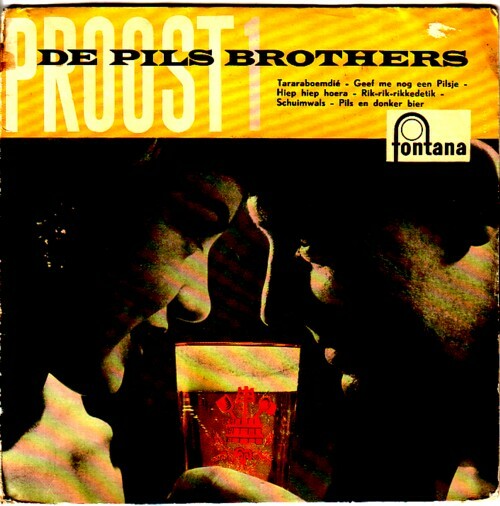 If anybody happens to know who De Pils Brothers are, I would love to hear that too. 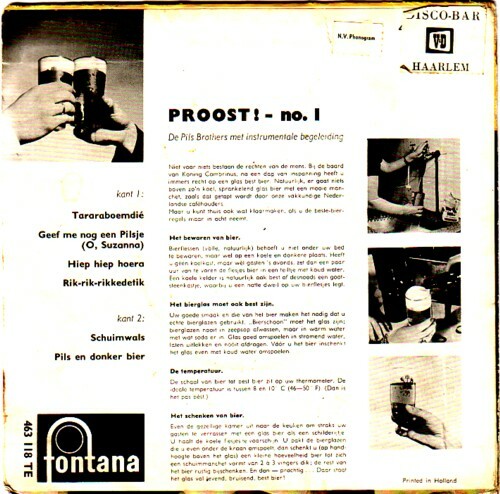 Het door jou gezochte logo is dat van het Centraal Brouwerij Kantoor, een organisatie die de belangen van negen bierbrouwers behartigt.